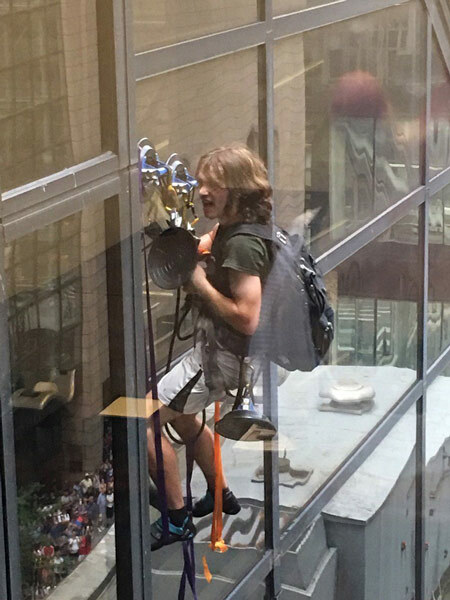 NEW YORK (WPVI) -- A man who wanted an "audience" with Donald Trump spent three hours scaling the glass facade of Trump Tower on Wednesday using large suction cups, climbing as high as the 21st floor before police officers grabbed him and hauled him to safety through an open window. 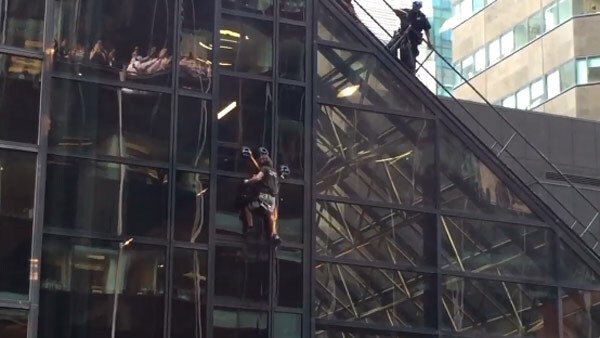 Police grab the Trump Tower climber to safety. 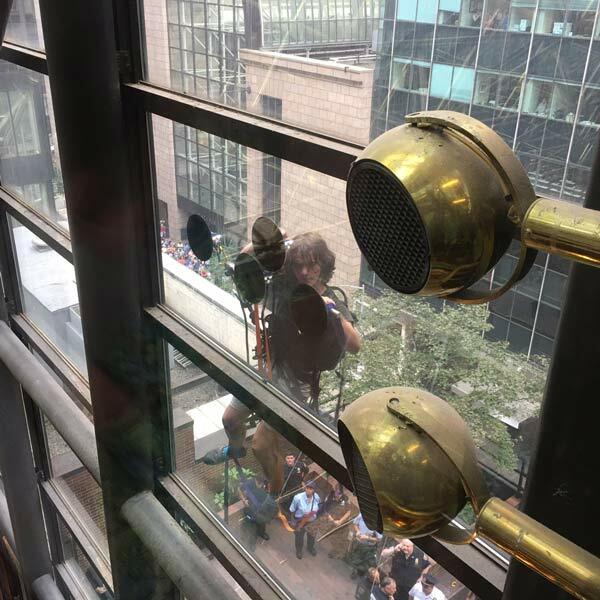 The climber, identified by police as a 20-year-old Virginia man, wore a backpack and used a harness and rope stirrups to fasten himself to the side of the 58-story Manhattan skyscraper. 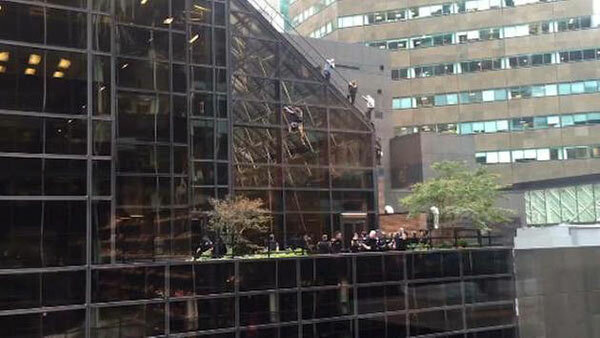 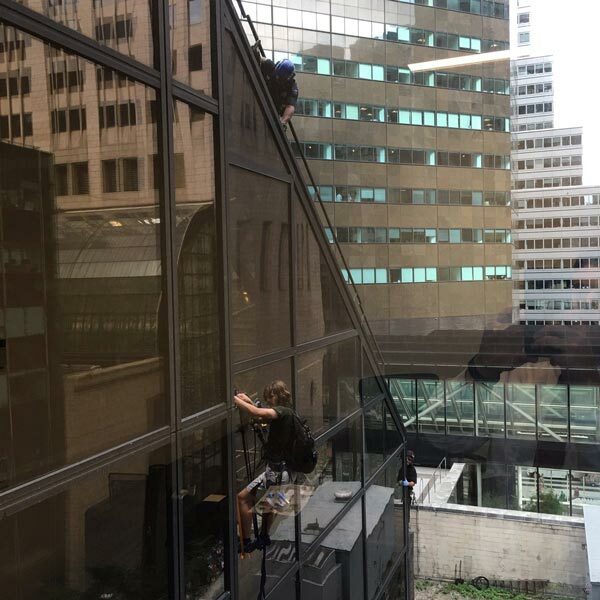 A man climbed Trump Tower using suction cups. 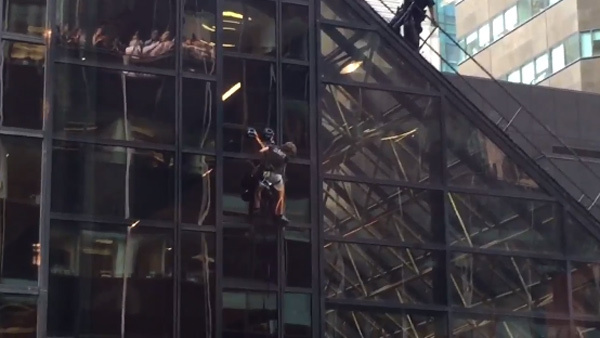 A man used suction cups to climb Trump Tower. 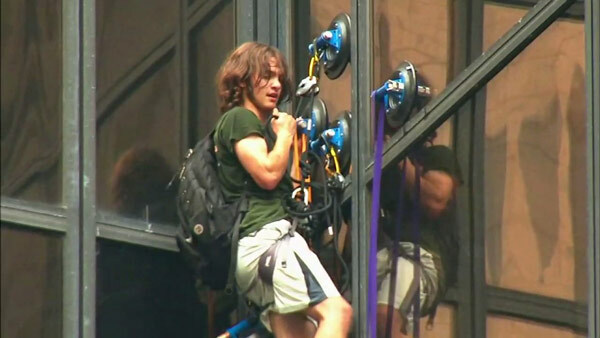 Who is 'Steve from Virginia' the Trump Tower climber?